Okay, so I have a confession to make – I LOVE open air markets. They bring to mind childhood memories of holding on to my mother’s hand, my head the same height as the fruits and vegetables, my eyes roaming and my nose collecting aromas. 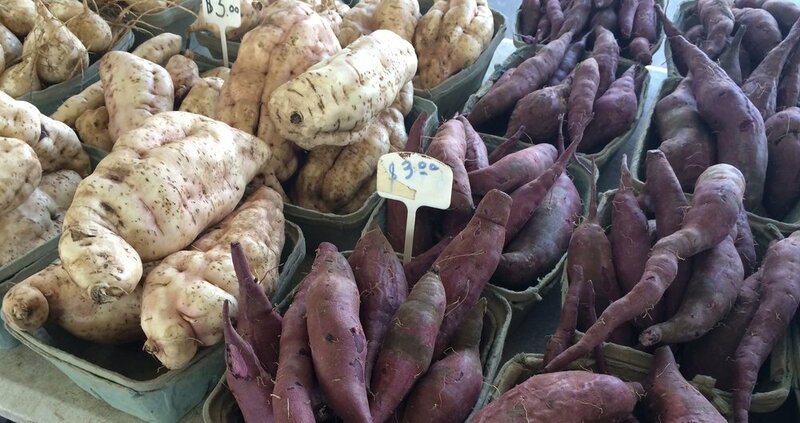 Though Minnesota is a far cry from the Middle Eastern markets in my memory, autumn in Minnesota offers a rich abundance in the Farmers’ Markets. 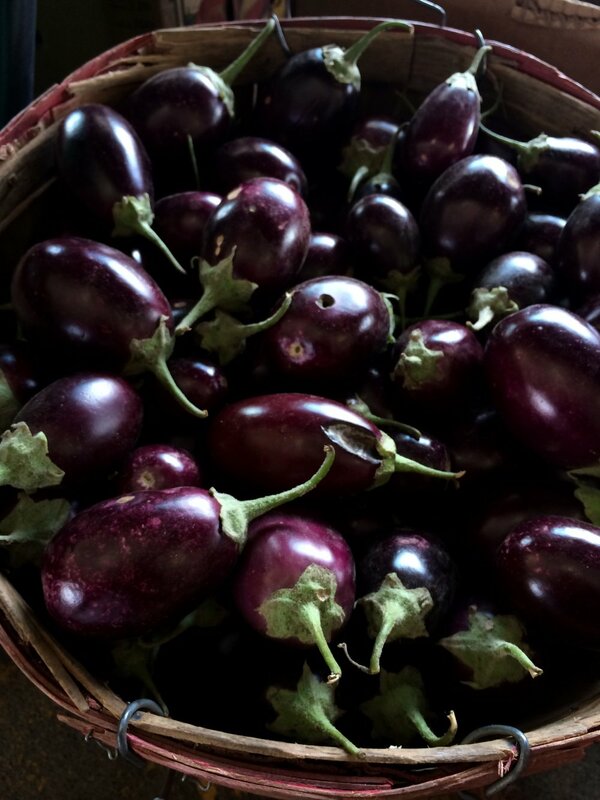 The short summer is fading quickly, but the baskets in the stalls are overflowing with purple, plump baby eggplants, yellow heirloom tomatoes and purple and white potatoes. I just can’t say no: no matter how crazy my week will be, how my fridge is groaning at the moment – I bring home loads of fresh vegetables. My counter gets crowded with fragrant herbs, shiny zucchini, bright peppers, crunchy kohlrabi and carrots. My day is then spent capturing the flavors of summer: Some vegetables will be pickled; others will be made into soups or sauces. My favorite to make is Eggplant. You might have guessed that I love to eat it, after all – I am from the Mediterranean. But I am as infatuated with its colors, shapes and textures, as I am with its flavor. Some eggplants I fry for a marinated dish, others are roasted for Baba Ganoush, others yet are diced and sautéed. Some tender eggplants join ripe tomatoes and spicy peppers with cilantro to make my favorite: my mom’s Hatzilim Now available from my newly launched Mideast to Midwest food line). What’s next? You might ask. Well, don’t these look beautiful? Maybe a soup: Roasted butternut squash with sage? Sounds comforting and light to me!